"Self-care is the heart of health care. I am honored to have the opportunity to empower patients in ways that help them to heal and thrive." 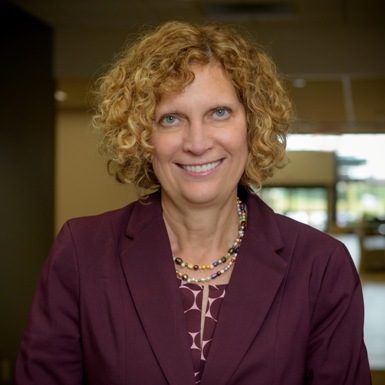 Kathleen Farah, MD received her medical degree from the University of Minnesota and has achieved board certification with the American Board of Family Medicine, American Board of Integrative Medicine, and Academy of Integrative and Holistic Medicine. She is senior faculty with the Center for Mind Body Medicine, with skills in teaching guided imagery, simple meditation, movement, nutrition and other stress reduction and health fulfilling strategies in individual and group settings. Dr. Farah has extensive experience in providing Integrative Medicine strategies for children and families at Childrens Minnesota. These include children with pain, headaches, abdominal pain, vocal cord dysfunction, anxiety, insomnia, depression. Her skills include breathing techniques, imagery and self hypnosis, drawing, acupressure, nutrition and heart rate variability biofeedback. Dr. Farah is also trained in CranioSacral Therapy, a hands on gentle massage technique designed to assist the body in overcoming physical and emotional difficulties. She continues to pursue education through the Institute for Functional Medicine and Heart Math Institute. In her free time, Dr. Farah enjoys spending time with family, especially her grandchildren.